Plaid is everywhere for fall, and I’m officially obsessed. 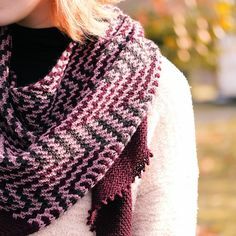 Americans use the words “plaid” and “tartan” interchangeably, but a tartan is a woven textile pattern historically identifying Scottish Highland clans and military or political allegiances, while a plaid (“pledd”) is a length of this woven wool thrown about the body, for example to stay warm on the moors. Tartan in fact has a long history; the earliest examples of this sort of woven textile were found on mummies dating from around 2000 B.C. in the central Asian Tarim desert basin. In The Mummies of Urumchi, archeologist and textile historian Elizabeth Wayland Barber investigates the link between these Indo-Europeans and the Celts. A branch of the Celts gave rise to the Scots, and to the practice of local clans adopting certain woven color patterns, which became identified with their wearers. The materials and aesthetics of the weavers first determined what patterns were available, and where. The system of colors and patterns coalesced throughout the 17th century, sometimes becoming associated with military regiments. In a political move, tartan and other distinctive Highland dress was later proscribed by an Act of Parliament in 1747 to 1782 to punish the Jacobite uprising and wipe out the Highland way of Life. In 1842, the alleged royal grandsons of Bonnie Prince Charlie, Jacobite Pretender, created the Vestiarium Scoticum, a pictoral compilation of historical tartans purported to be a reproduction of an ancient manuscript. Although discredited early on, the book is influential in moving many of the supposedly traditional tartans into the realm of official clan representation. Tartans entered popular fashion in the 19th century with their enthusiastic adoption by Queen Victoria. During this time, the advent of chemical dyes made possible vivid reds, greens and blues, and pushed the popularity of bold color combinations that are still modern today. Oversized, small scale, balanced, asymmetric, muted, bold . . . so many choices. When I was designing Plaidscape, I was inspired by the iconic Burberry plaid; however, I needed something simpler, and I knew I would have to factor in the stitch vs. row gauge. Enter the fabulous Scotweb Tartan Mill, online purveyors of woven tartan. You can order a kilt from them, yes – but the super cool thing is their online tartan designer. 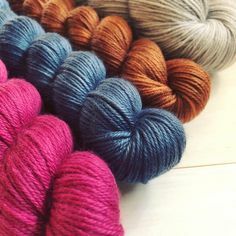 Easy and free, you can use it to design your own tartan; should you be so inclined, you can then order fabric in your pattern from their weaving mill! Obviously Plaidscape alone cant fulfill my mad, mad, plaid desires, so I’m making a tartan cowl and investigating more accessories. Hat and fingerless mitts are not far behind. Mad for Plaid . . . and a Giveaway! And the Plaidscape winner is . . .